Magnets can be put into a magnetizing fixture and then power applied. The direction of the applied field is then stored with each piece of the magnet. The magnet can then be taken out of the fixture and used in the actual device it was designed for. 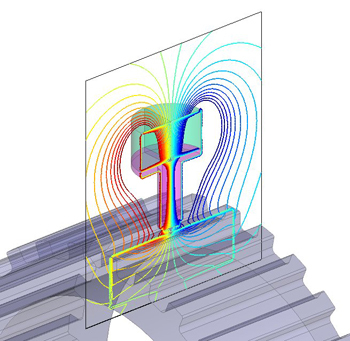 This design analysis is available in MAGNETO (2D/RS) and AMPERES (3D).